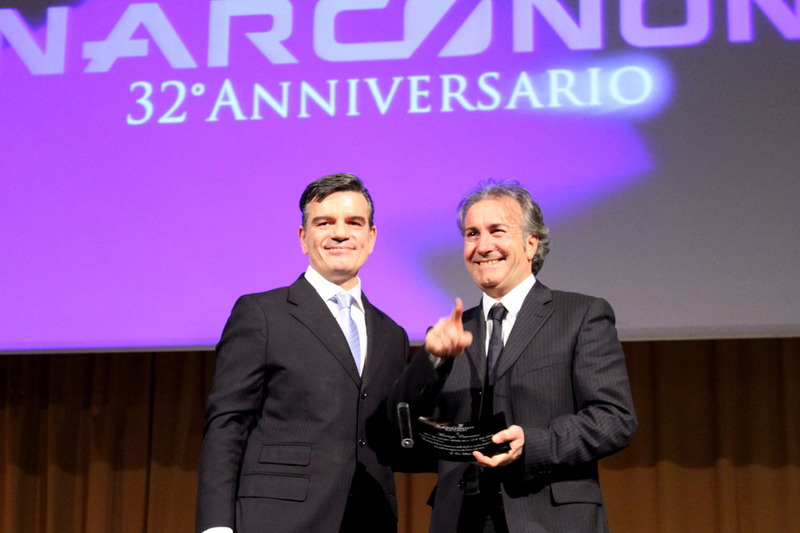 An evening of music, food and awards marks the 32nd anniversary of Narconon in Italy. 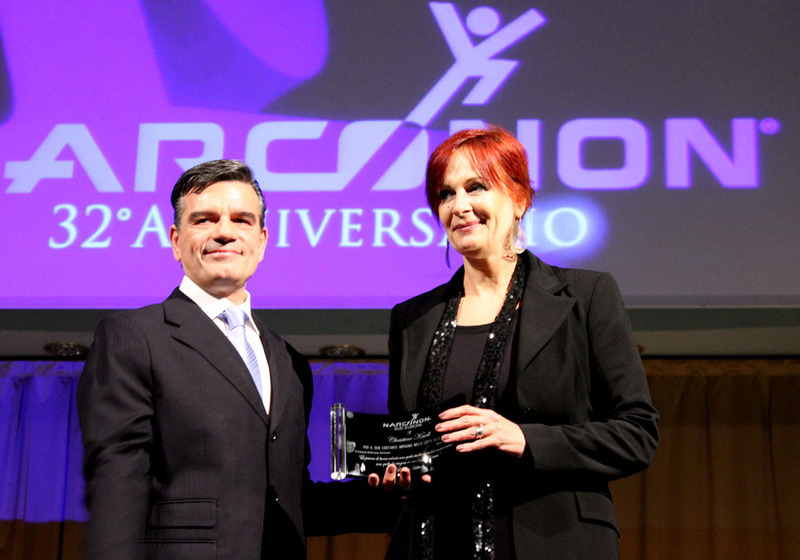 We are extremely proud of our Narconon executives and staff in Italy for their persistence and dedication and we look forward to their continued success. Each December, the staff of Narconon South Europe celebrate another year in which they were were able to free people from the prison of drug abuse. Narconon South Europe is the Narconon continental office with administrative jurisdiction over Italy, the Balkans, North Africa, and some of the Middle East. This year, in Milan, Italy, staff, graduates, families, community supporters and artists gathered together for an evening of food, music, dancing and awards in honor of thirty-two years of success. On the evening of December 14th at the Hotel Mizar Quark, hundreds of people gathered to show that they do not take this success for granted. The evening started with dancers, followed by testimonials from a few persons who have used the Narconon drug rehab program to turn their lives around. Then three supporters from the community were presented with the William Benitez and Felice Cantú Award. This award is given to by Narconon South Europe to individuals who provide special support for the Narconon program. It memorializes the founder of Narconon, William Benitez, and one of Narconon's first European graduates, Felice Cantú, who went on to guide the Narconon activities in Italy to great expansion. 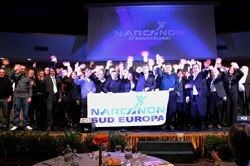 There are now six Narconon drug rehab centers in Italy. 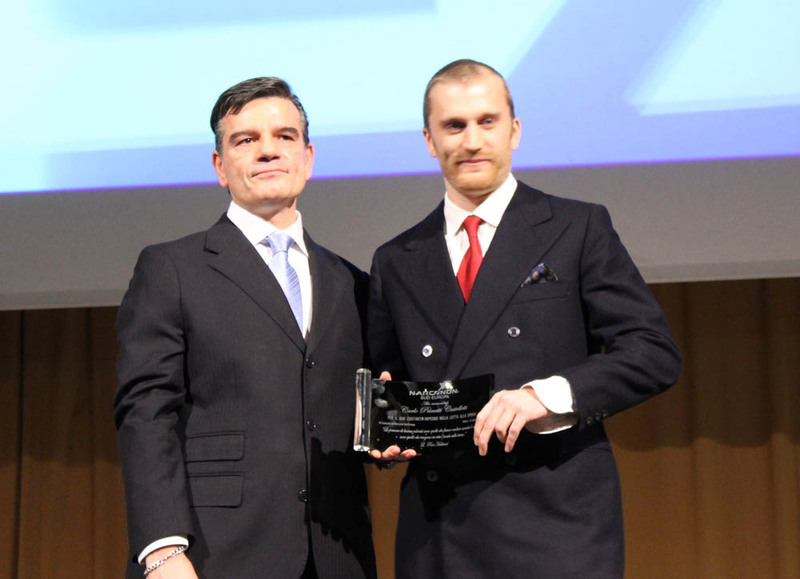 "Each year, we present these awards to those who understand our mission to create drug-free lives and who help forward our message," said Giovanni Citterio, executive director of Narconon South Europe. "Without their loyalty, we would not be able to reach as many people as we do and free them from their compulsion to use drugs. Each time another person graduates from the Narconon program, these friends have helped us make that happen." Receiving the award this year were Maurizio Cisternino, Assessor to the Environment of the City of Melendugno, a friend and supporter of Narconon for many years; Christine Knoll, the mother of a graduate and a supporter of Narconon Piemonte; and the late Count Carlo Prinetti Castelletti, supporter of Narconon Astore. His nephew Guido Rocca, also a graduate of the Narconon program, accepted the award for his uncle. As always, the high point of the evening was when dozens of Narconon graduates flooded onto the stage to celebrate the new drug-free lives they have been given. These graduates on stage were just a small sample of the hundreds of lives that have been saved through the Narconon program in Italy. "Compare the despair and pain these people suffered when they were in the midst of their addiction, and you see how particularly special this is," said Dr. Anna Tagliaferro, Medical Director of Narconon International representing the organization at the event. "We are extremely proud of our Narconon executives and staff in Italy for their persistence and dedication and we look forward to their continued success."